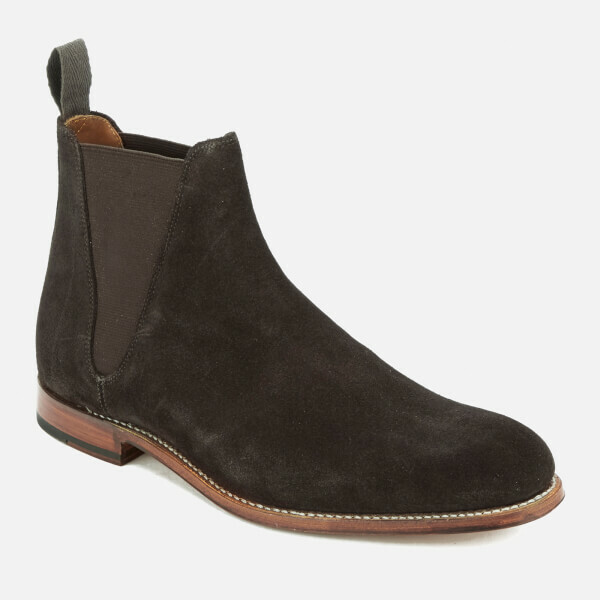 Men’s brown suede Chelsea boots from established British shoemakers Grenson. 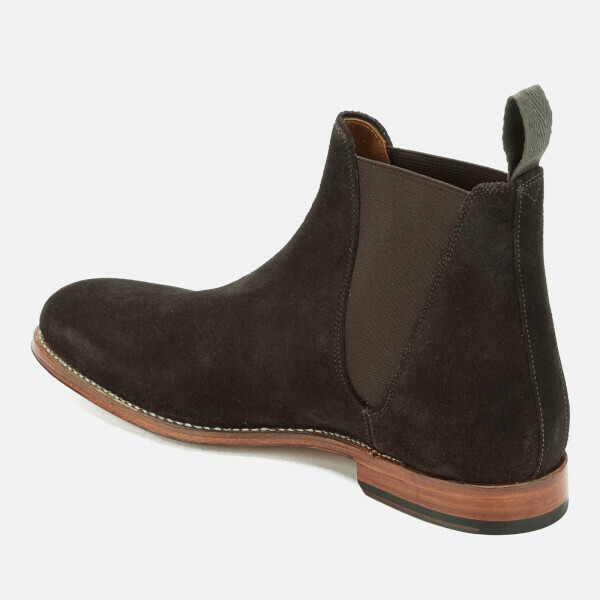 Crafted from supple suede, the classic ‘Nolan’ ankle boots comprise V-shaped elasticated side gussets and a woven heel pull tab. 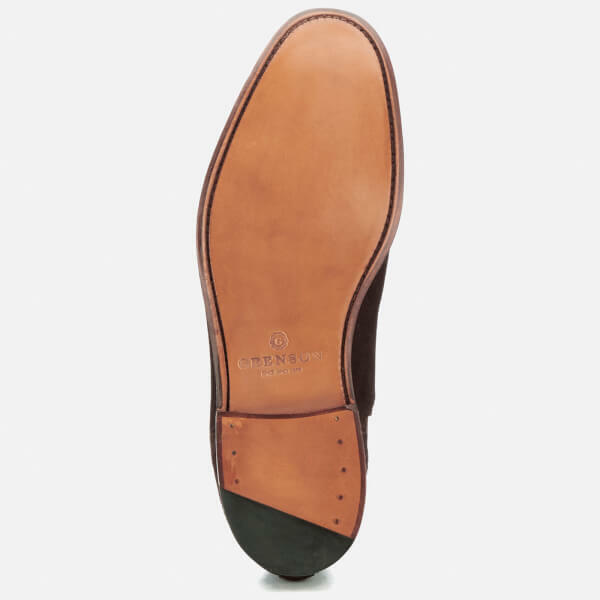 Constructed using a traditional Goodyear welt and comfortable red leather insole. 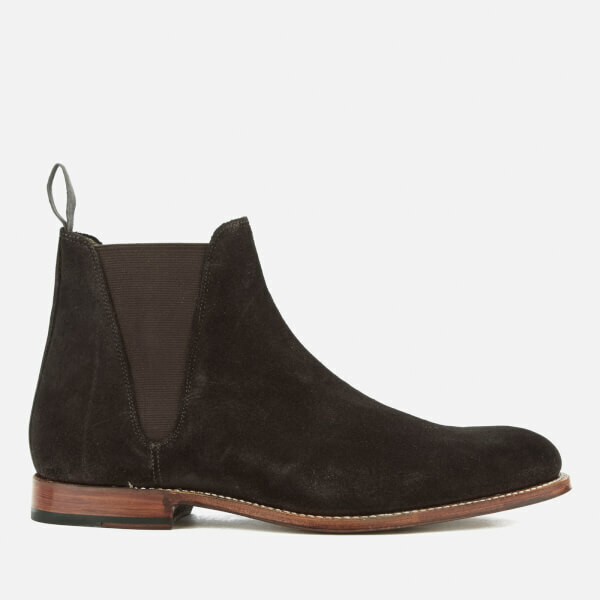 Set on a contrast leather sole.